Originally, this was the first computer my wife Lone bought, way before she met me. It was placed close to a halogene lamp that left a mark on the top of the chassis, formed as a 30x30x5 mm encarving. 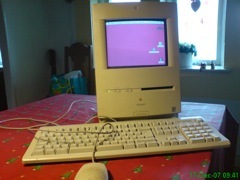 After we moved together, she was forced to upgrade to my Performa 460, which I had replaced by a Power Book 5300 cs. Then my brother got it as a Christmas present in 1998 or 1999. 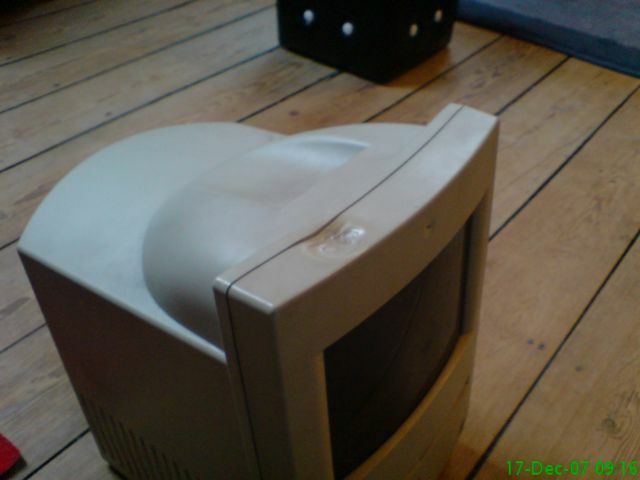 I got it back, when he inherited my Power Macintosh 8600 a few years later.